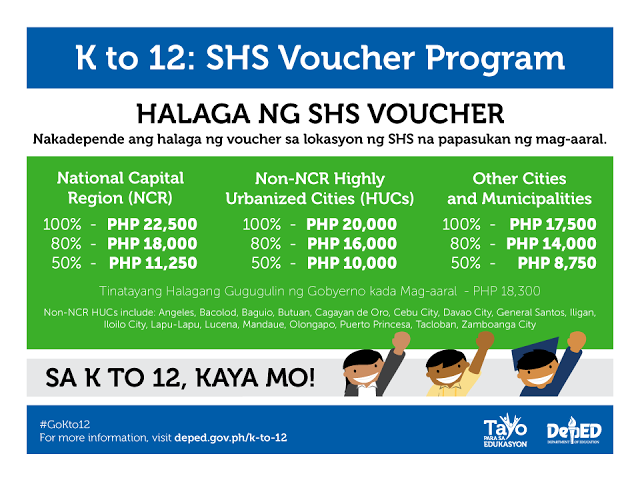 In order to help families with the education and tuition cost for the 2 added years of K12 curriculum in school , DepEd introduced the Senior High School Voucher Program (SHS VP) as a mechanism to provide financial assistance to senior high school students. Through the SHS VP, the DepEd engages the non-DepEd Senior High School providers to enroll qualified voucher recipients from both Public and Private Junior High Schools. 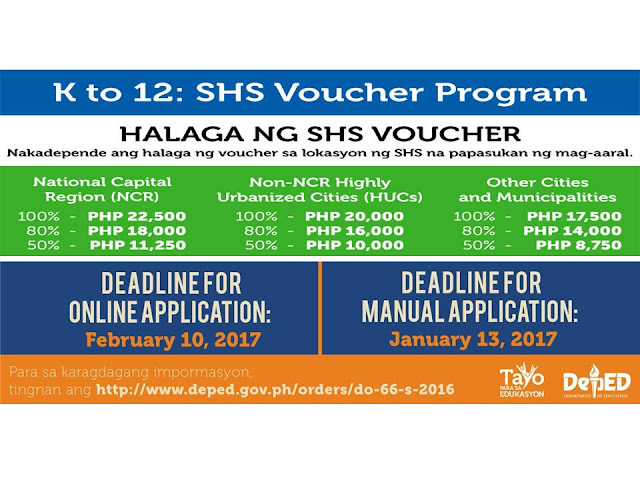 Once qualified voucher recipients are enrolled in non-DepEd Senior High School providers, the DepEd will provide assistance to these students through a voucher subsidy paid to the non-DepEd Senior High School provider. 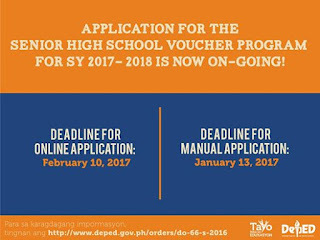 All students who pass Grade 10 by March are eligible for the program. 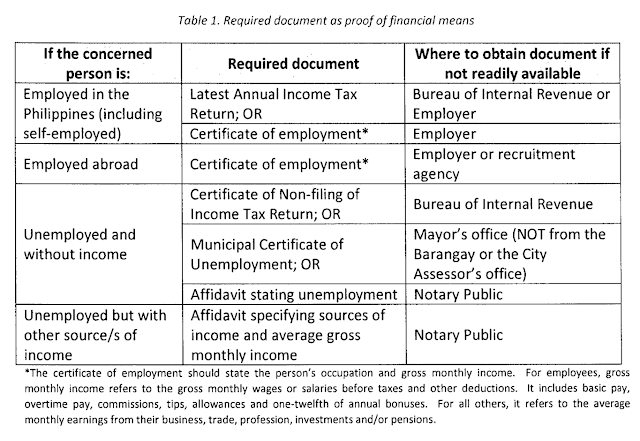 Those who are studying in public schools are automatically a Voucher program beneficiary, but if a Grade 10 student is from private school, the private school he/she must be attending must be part of Education Service Contracting (ESC)program of the Department of Education in order to qualify. This may be verified at the school's registrar. The value of the voucher or financial assistance depends on the region where the child is studying. Confirmation e-mail will be sent to you. Verify it and fill-up VAF-1 form. 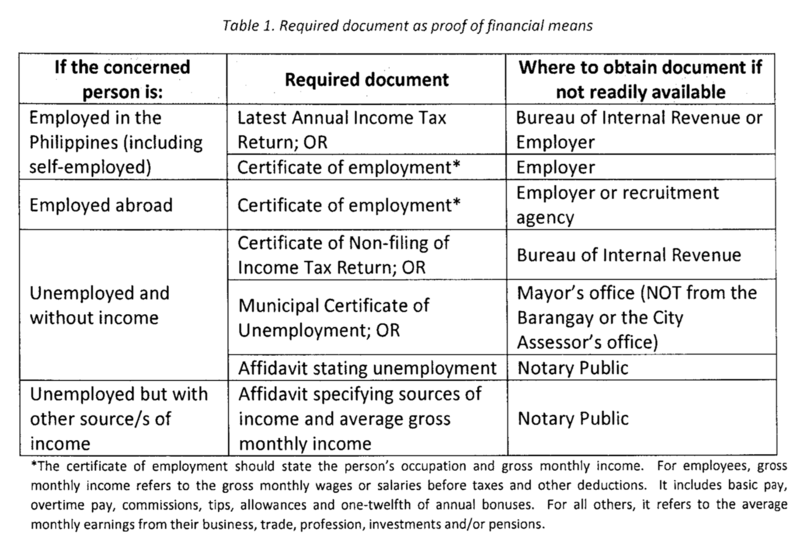 Enclose VAF-1 together with the supporting documents in a long brown envelope. To know more about schools offering Grade 11 and 12 visit here. 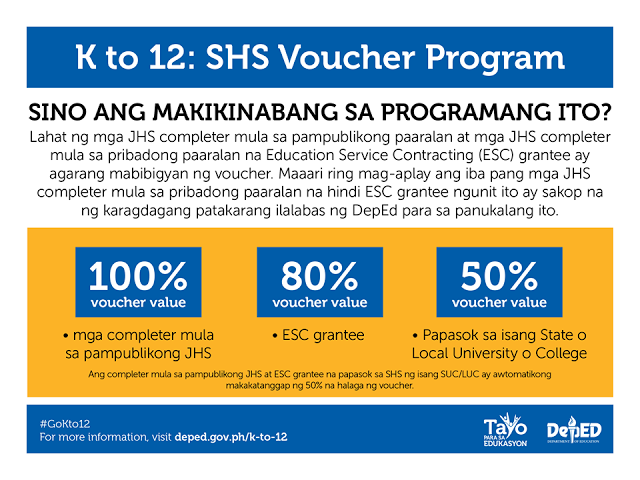 Concerns and queries regarding the ESC and SHS Voucher programs can be directed to gastpe@deped.gov.ph or to the DepEd Action Center at (02) 636-1663 or (02) 633-1942. 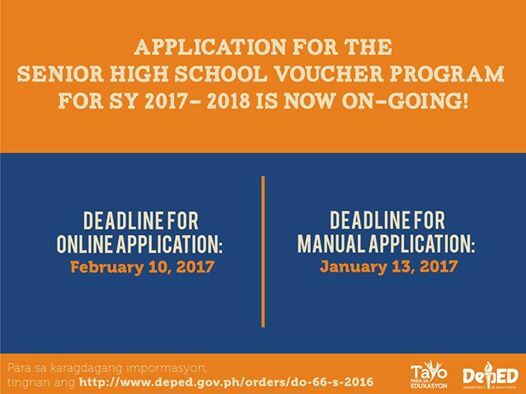 Deadline 2nd Friday of February of the current school year or for next school year- February 10, 2017 for online application.